Valentine’s Day is always a tricky one for most couples because there’s just so many things that can go wrong with it – should you celebrate? How much should you spend on a present? Where should you go for dinner? 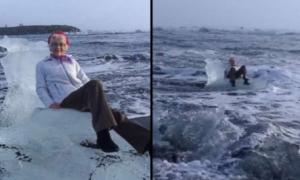 etc etc – that it’s often way less fun than it should be. There’s a lot of pressure, put it that way. 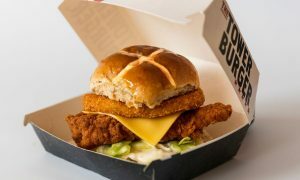 Thankfully though, KFC have decided to pull one out of the bag for you this Valentine’s Day and offer what can only be described as the perfect gift this February the 14th. It’s called the ‘Bouquet de Poulet’ and is exactly what you think it is – a bouquet of flowers with the flowers replaced with KFC chicken. 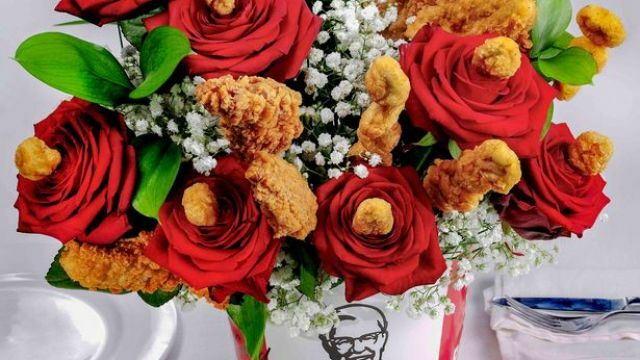 It also comes with a KFC bucket as a plant pot too – clearly what every woman wants this Valentine’s Day. At KFC, we know the way to someone’s heart is through our Original Recipe chicken. 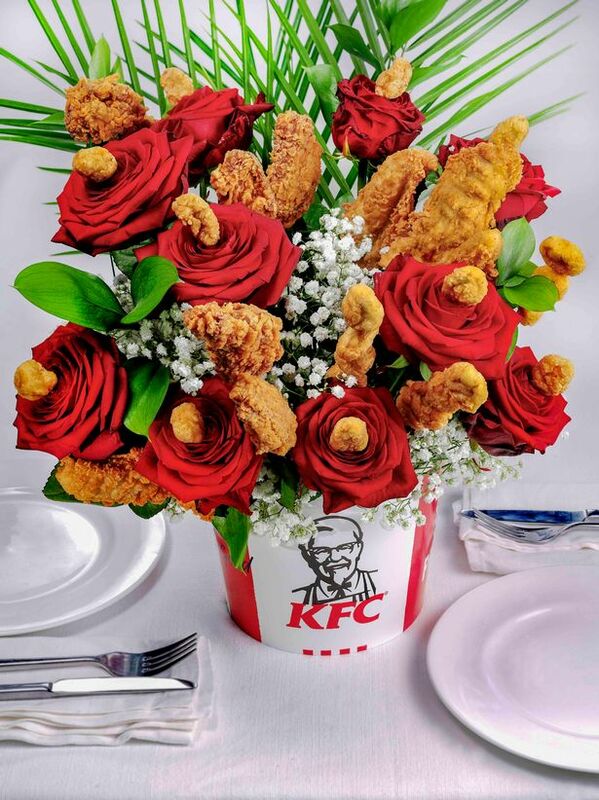 Whether it’s for the one you love, a budding romance, or you just want to give your fried chicken-obsessed mate a gift, the Bouquet de Poulet has got your back this Valentine’s Day as the ultimate present. Convinced me – get me to the nearest KFC pronto! Although to be fair I’m not entirely sure if it’s real or how much it’s gonna set me back. Worth a try for love though, right? If not I guess a Zinger Tower meal will do. For more Valentine’s Day, check out how TGI Friday’s are celebrating this year. Game changer.